Abstract: In this presentation, you will learn some basics about Java application profiling. You will see different tools you can use to measure the performance of your applications. We will show you how you can profile CPU, memory usage and more using JProfiler. For that purpose, we will use both demo and real-world applications. Bio: Doychin Bondzhev has over 25 years of experience in the software and consultancy industries. 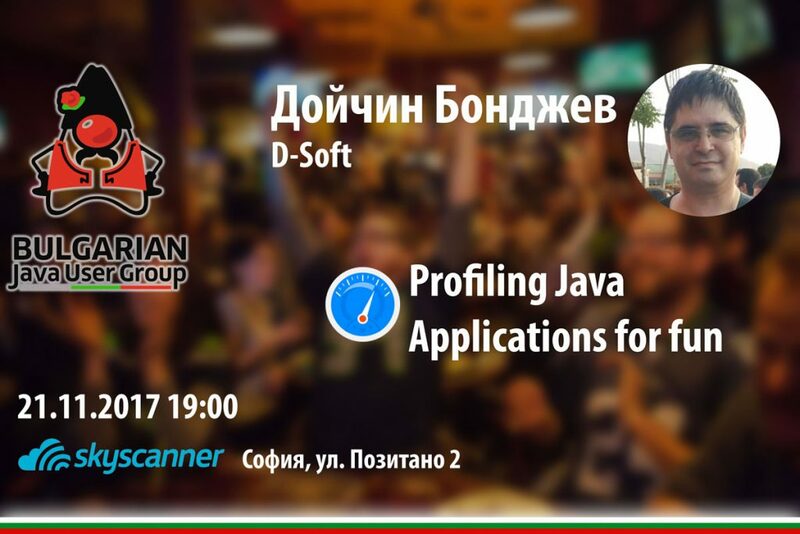 For the last 17 years he is establishing his own business – dSoft-Bulgaria. During that time he utilized different technologies including CDI, EJB, Web Services, Swing, JavaFX, JSF, JAX-RS, JMS and also different databases and platforms. He used these technologies for business, banking, process control and other types of projects. Prior dSoft-Bulgaria, he was a senior developer at AtoZed Software, responsible for maintaining and developing IntraWeb for Win32, .NET and Java. He has a masters degree in computer science from Technical University, Sofia branch Plovdiv.